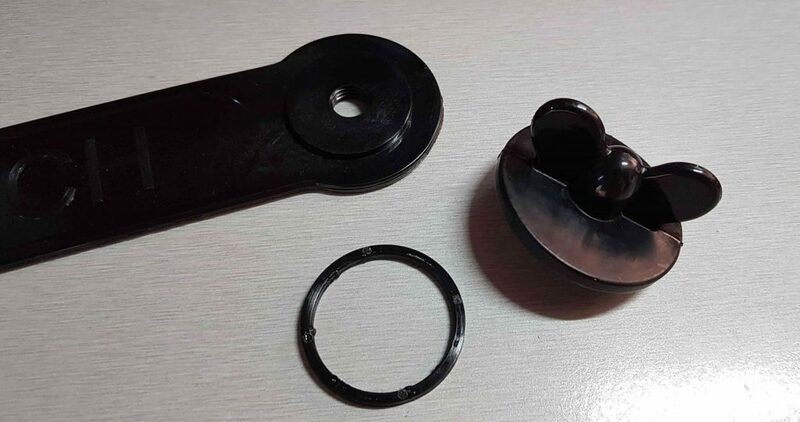 * There is a ring included to act as a spacer for larger door latches. 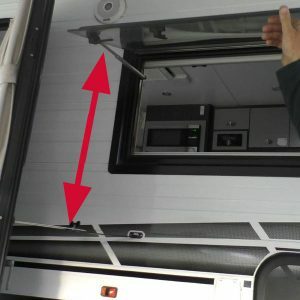 This Door Latch extension solves a common problem in many caravans that are unable to open their windows when the door is also open. 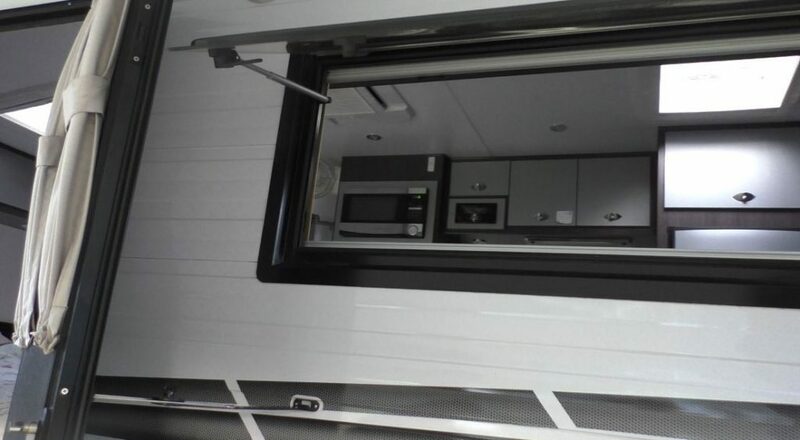 The standard configuration in many caravans means that the window of the main living area is in close proximity to the door frame. 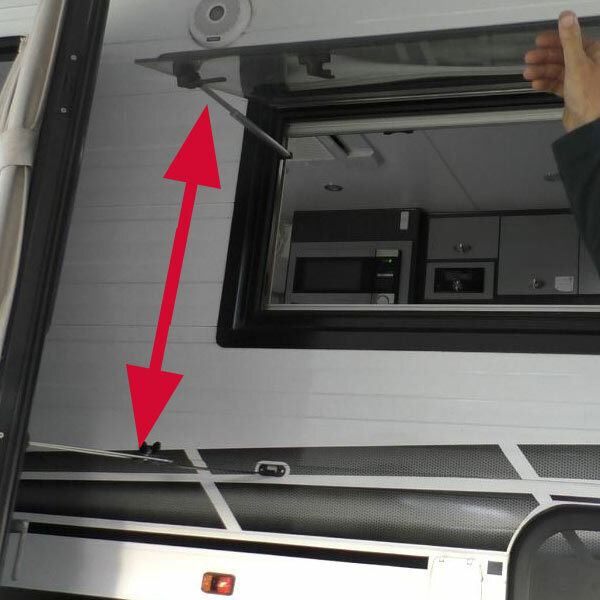 Unfortunately, this means that if you have your door open and latched back to the caravan on a hot day, you cannot open your window to let the breeze in, as there is not enough clearance for the window stays to latch in place. 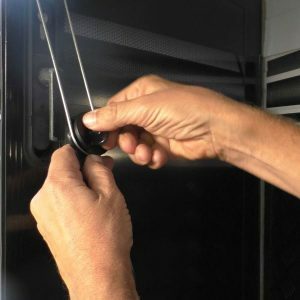 Currently, most manufacturers only provide a short latch to fit neatly into the existing door frames. 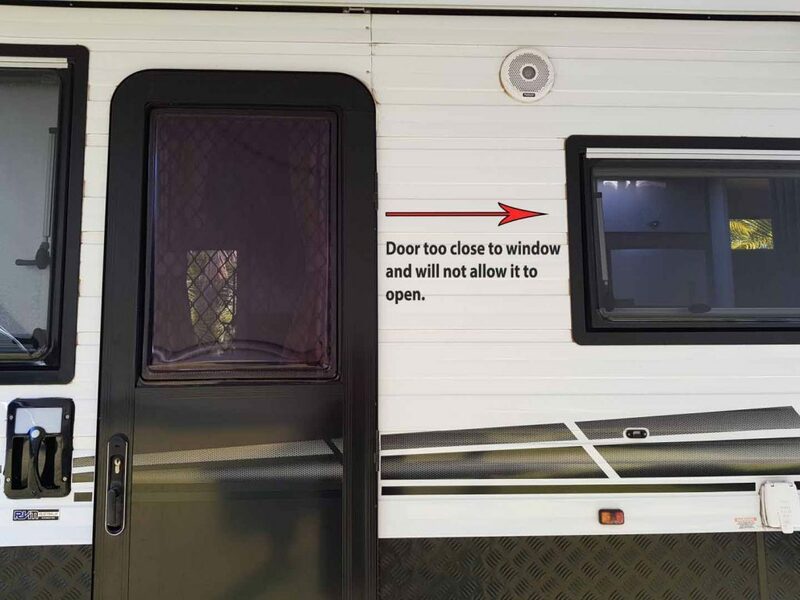 This means that in 90% of cases you cannot latch the door and use the window at the same time, meaning that you either cannot use the window, or have to come up with some way of keeping it open and then only a small amount. 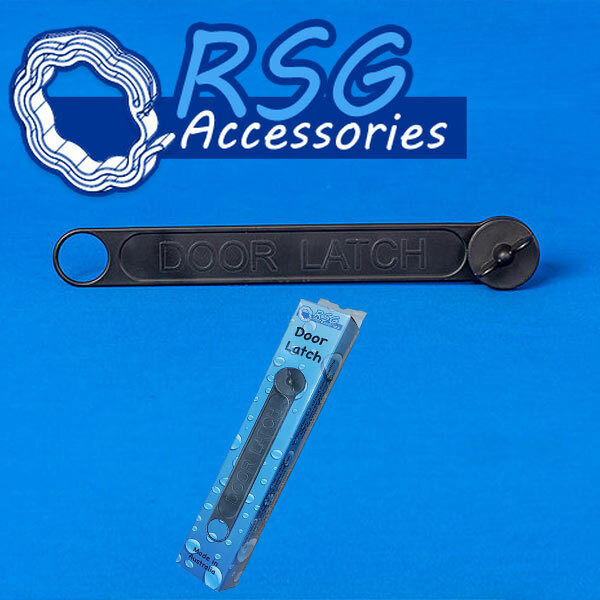 These door latch extensions, however, allow you to extend the length of the door latch, without modifications, meaning you can keep the door open and also have clearance to open your window to its full extent. 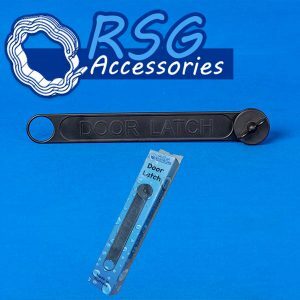 The latches are strong and durable and made from 30% Fibreglass. 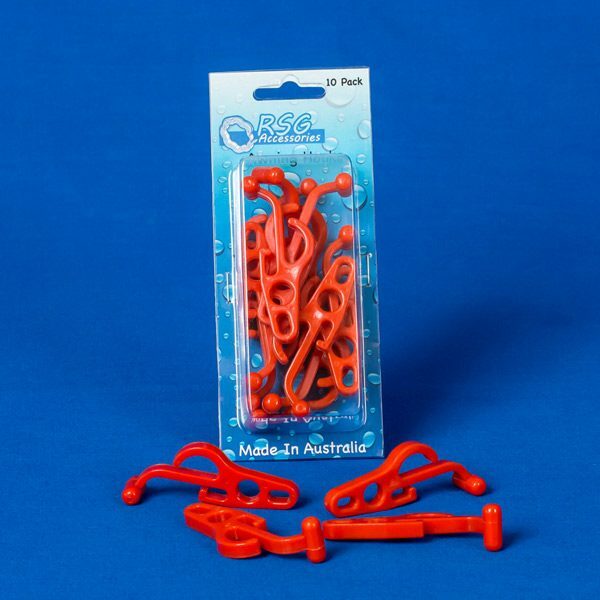 There have been designed and made here in Australia. 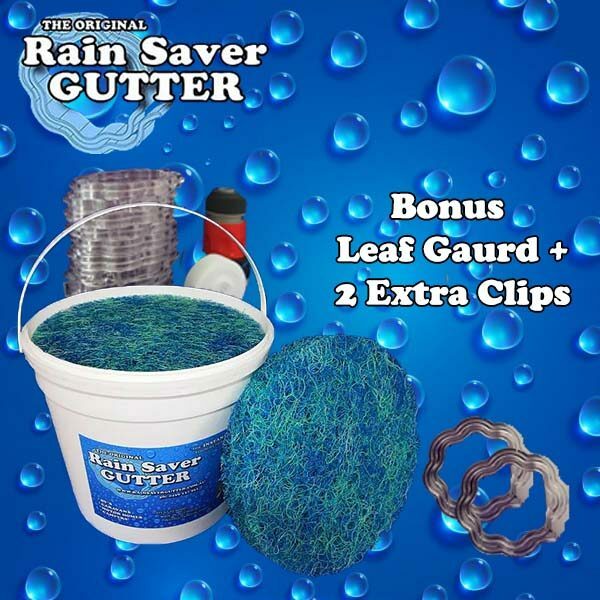 They are easy to fit with an adjustable easy twist lock nut. 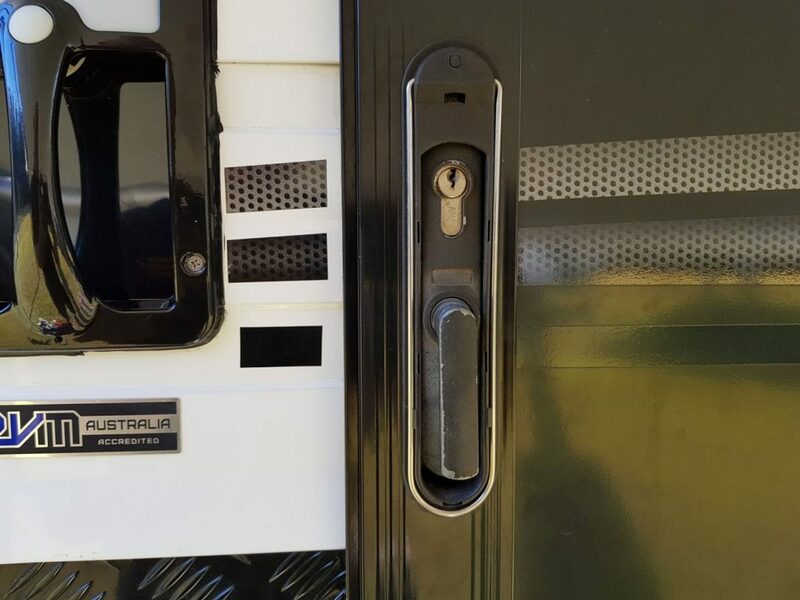 They also have a spacer ring which means they will fit both the large and small door latches, meaning they will be suitable for about 90% of caravan doors. 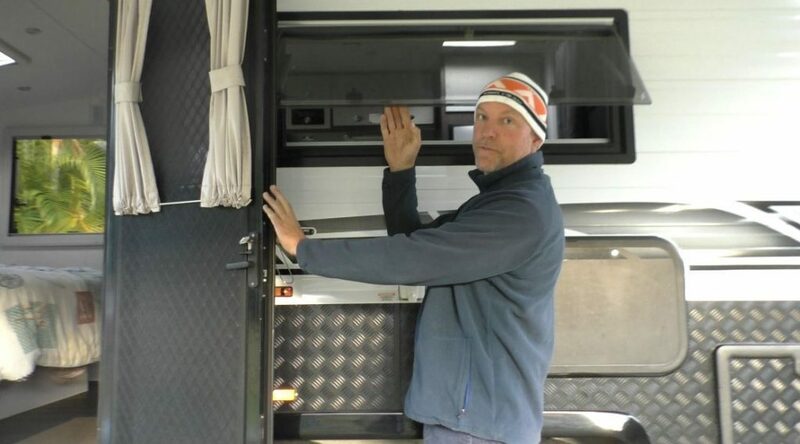 If you are not sure if it will suit your caravan take a quick measurement. Fold the door back and take a measurement, the latch extender will give you an extra 280mm. They fit into the existing wireframe of the door latch so there are no modifications needed. 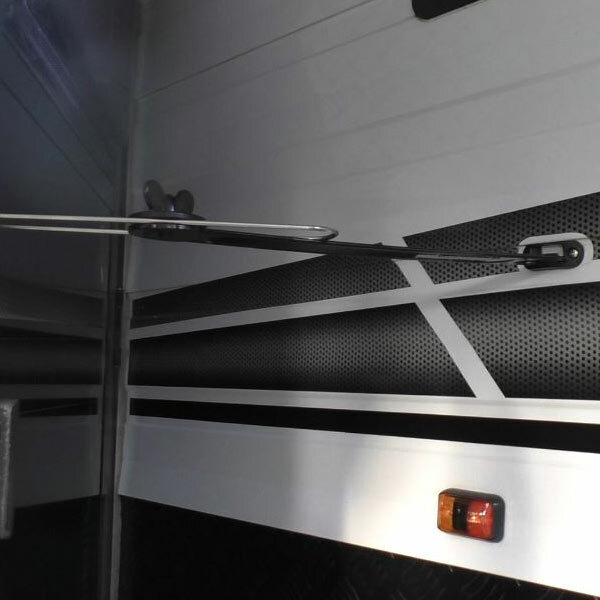 They are fully adjustable so you can get the maximum opening of the door and clearance for your window. Our motorhome does not have this type of latch on the door, so we sought out Tristan. 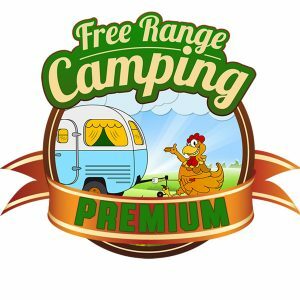 Tristan has an Option RV and has been struggling to come up with ideas over the last 2 years on how to keep the window open. We gave him one of the new door latches to try out for us and he was very impressed. You can watch the video here of how it solved Tristan’s problem. 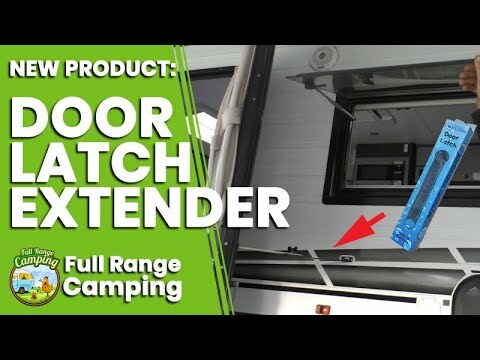 A simple and easy to use extension that allows us to have both the door and the side window open at the same time. Congratulations to the person/people that developed it.